Executive Director for Strategic Business Development at ISA. PRINCETON, N.J., July 13, 2017 /PRNewswire-USNewswire/ — The Institute for Student Achievement (ISA), a division of ETS, announced today that Dr. Stephanie Wood-Garnett, Vice President for Policy to Practice at the Alliance for Excellent Education, has been appointed ISA’s next president. Wood-Garnett succeeds Dr. Gerry House who announced her retirement earlier this month after nearly two decades of leadership. Wood-Garnett assumes the presidency July 25. ISA, whose mission is to partner with schools and districts to transform public high schools so that students who are traditionally underserved and underperforming graduate prepared for success in college and careers, has been part of ETS since Jan. 1, 2013. House has been ISA’s president since 2000. Wood-Garnett has been at the Washington, D.C.-based Alliance for Excellent Education since August 2015. The Alliance is a national education policy, practice and advocacy organization. Its mission is to promote high school transformation so that students, particularly those from underserved groups, can graduate prepared for college, life and careers. Prior to joining the Alliance, Wood-Garnett was a Managing Director at the NewSchools Venture Fund, an Oakland, California-based nonprofit that helps find, fund and support entrepreneurs committed to innovative practices in education. Before that, she served by appointment as the Assistant Commissioner of Teacher and Leader Effectiveness at the New York State Department of Education. 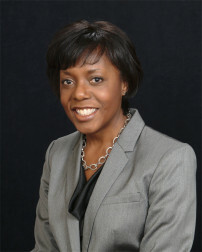 Her additional roles in the field of education include: Associate Director/Director of Teacher and Principal Evaluation at the University of Washington’s Center for Educational Leadership; Executive Director of Exemplary Programs for the Bellevue, Washington School District; and Executive Director for the District of Columbia Office of the State Superintendent of Education. Wood-Garnett earned a BA in English literature, with a minor in women’s studies, from Dartmouth College; an MA in education and human development, with a focus on higher education administration, from The George Washington University; and a doctorate in educational and organizational leadership from the University of Pennsylvania’s Graduate School of Education. She has served on the ETS Advisory Committee on Equity in Student and Teacher Assessments. The Institute for Student Achievement (ISA) partners with schools and districts to transform public high schools so that students who are traditionally underserved and underperforming graduate prepared for success in college. Through a close partnership, ISA provides the organizational and professional development supports that schools, principals and teachers need to succeed, giving students the opportunity to learn, grow and achieve to their fullest potential. To learn more about ISA, visit www.studentachievement.org/. Download Evidence-Based School Reform. Learn more about the techniques ISA has been using to improve schools for more than 20 years. By providing your email address, you're giving permission to ISA to email you our newsletter and other occasional, important updates. Your permissions can be edited or revoked at any time.